You miss 100% of the shots you don't take. 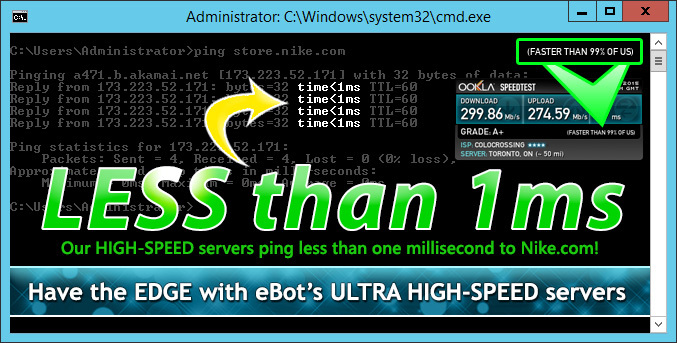 Take advantage of a special opportunity and join eBotServers. We offer Windows VPS powered by KVM virtualization. Our servers are powered by Dual Intel Xeon e5 processors. With 99% uptime, you can rest easy at night knowing that your applications will be online and running. Our servers are ideal for various bots including sneaker bots, social media bots, marketing bots, and many more!